“Design is something that takes time, art, and patience,” Steven Grotell, new head designer with Le Vian tells me at Centurion in Scottsdale, AZ earlier this week. The famed jewelry company has chosen the burgeoning private jewelry show to announce that it is releasing two unique luxury jewelry watch lines, the Pary and the Kelsey Bangle, and Grotell is the chief architect behind the ambitious two-year project. With over two-decades in the luxury watchmaking world, Grotell is the perfect man to launch these illustrious and very targeted lines, and he brims with passion when describing the project to me. 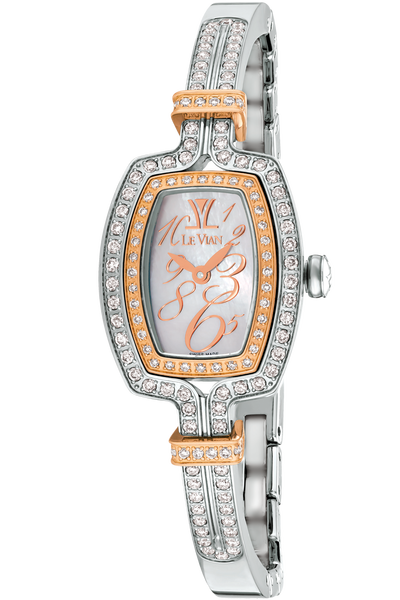 The two lines (which range in price from $500 to $5,000) are meant to fill a gap in the market for more accessible diamond-set women’s Swiss watches, and they come in various vibrant metal colors and configurations for seemingly any budget. The most striking piece of both collections is the Swiss-made Kelsey Bangle. A combination bangle bracelet and timepiece, Grotell tells me the Kelsey was inspired by early 20th Century cocktail watches as well as several iconic Le Vian jewelry staples. 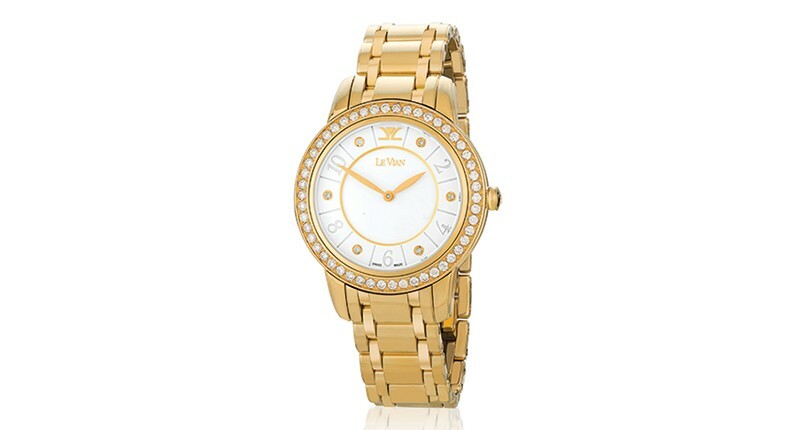 It features a three-piece case construction and a Swiss quartz movement. The version I saw had both white and brown diamonds, a mother of pearl dial, a stainless steel casing, and looked like a tremendous value at $2,500 (there are versions with fewer and no diamonds for less). “This is a really exciting time for us,” says Le Vian’s hands-on CEO Eddie LeVian. He certainly shares Grotell’s excitement for the launch. The most expensive piece in both collections is the Pary I ($4,999). 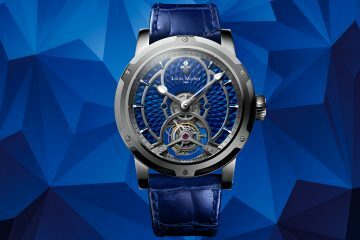 It also has a Swiss quartz movement, and features six diamonds on the dial and 50 diamonds on the bezel (either white or signature Le Vian chocolate), totaling more than 1.25 carats. Again, the piece seems like a steal given its design and movement. In my hands it feels substantial for a women’s watch, but a good way, far from bulky, and as though it should cost two to three times as much. Like all pieces in the Pary line, the Pary I features a four-piece case construction. LeVian tells me that the fourth piece allows for a number of arrangements and price points (they really stress the notion that they want these to be accessible to many). The three versions of the Pary (again each version is distinguished primarily by diamond count) are available with a variety of metals and straps, including a brilliant techno silk-satin material resistant to fraying and basic wear and tear. As we chat about the line, Grotell notices me fiddling with my Persols and goes off on a tangent about the brilliant intricacies of the Italian sunglasses manufacturer’s design. He points out the bendable bridge and sapphire lenses, before bringing the conversation back to elegant clasp on the glistening Kelsey Bangle that I keep admiring. “It’s all about the little touches that effect our everyday use,” he tells me. This a man who certainly possesses a great passion for design. Women’s luxury watchmaking can be a tough market to crack. 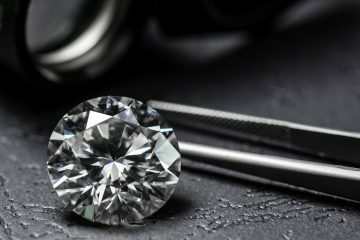 We have watched many successful jewelry and mens watch companies struggle equally in an attempt to hit the right price points and properly market to their consumer. 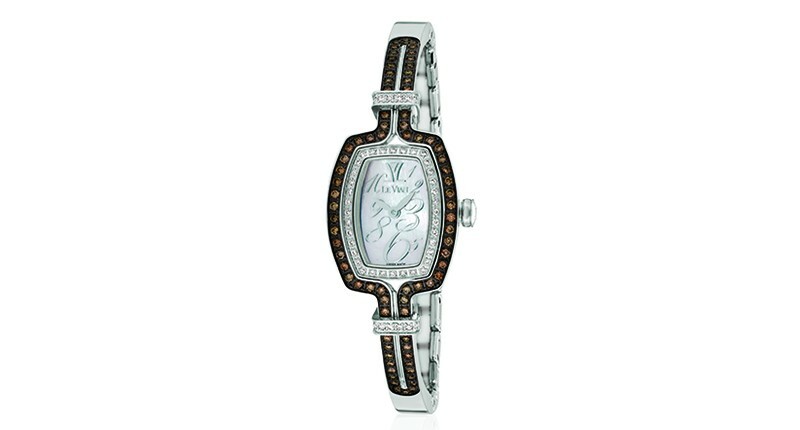 But with these two lines, it certainly seems like Le Vian is making steps in the right direction. And given his history for making gorgeous, innovative timepieces, Grotell’s involvement in and enthusiasm for the new lines (coupled with their incredible value) is a very promising sign of things to come for the brand.